Colorado is one of the states that delegates licensing to local jurisdictions. In Colorado general contractors are not licensed by the state because they are licensed locally. Electrical and plumbing contractors, however, are licensed by the state. Contractors are required to get a business license, but not every contractor is required to get a contractor’s license. Local regulations should be checked. For complete information about contractor licensing in Colorado, we encourage you to contact their licensing board to determine which type of license you will need for your contracting business. Even if you are not required to be a licensed in contractor in Colorado, your business will be exposed to certain risks everyday you’re open for business. Why jeopardize your business when you can affordably transfer your risks to a highly-rated commercial insurance company? Contractor General Liability Insurance is used as a shield against third party lawsuits caused Bodily Injury and/or Property Damage that are likely to be a result of negligence by you or an employee. These potential legal actions generally arise when the Contractor’s negligence has resulted in Bodily Injury, Property Damage or Personal/Advertising Injury that has happened while a construction operation is ongoing or even several years after the project has been completed. According to the Colorado Department of Labor and Employment, all public and private businesses in Colorado, with few exceptions, are required to provide workers’ compensation coverage if they have one or more employees. A person hired to perform services for pay is presumed by law to be an employee. This includes all persons elected or appointed to public sector service and all persons appointed or hired by private employers for remuneration. There are limited exemptions to this definition. 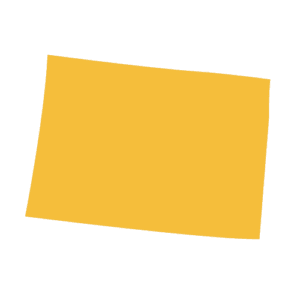 Colorado’s workers’ compensation insurance is administered by the National Council on Compensation Insurance (NCCI), which uses data they collect to determine regulations and rates. Although many contractors confuse surety bonds with insurance, a surety bond represents a guarantee to pay that is similar to a line of credit. Most state licensing boards require a surety bond before a licenses is granted and most large customers and governmental organizations require a bond just to bid on a project. Fairbanks Insurance Brokers can meet your surety needs no matter what the requirement is. Certainly, many contractors use expensive tools and equipment in the course of performing their jobs. The loss of these tools can be severely detrimental to any contractor and as such, it’s important to transfer the risk of damages or theft to a highly-rated insurance carrier. In most cases, the cost of dependable tool coverage will be less than security cameras, chains, and expense locks.